In this weekly segment, ExchangeWire sums up key industry updates on ad tech from around the European region – and in this edition: French Watchdog Slaps Google with £43.7m Fine Under New EU Law; Sublime Expands Customer Reach with New Regional Offices in UK & France; and IAB UK Announces New Transparency Initiative to Help Buyers Understand the Digital Advertising Supply Chain. 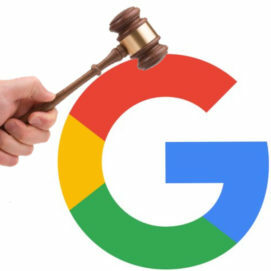 France’s data privacy watchdog fined Google €50m (£43.7m) on Monday (21 January), the first penalty for a U.S. tech giant under new European data privacy rules that took effect last year, as reported by AP. The National Data Protection Commission said it fined the U.S. internet giant for “lack of transparency, inadequate information, and lack of valid consent” regarding ad personalisation for users. Users have to take too many steps, “sometimes up to five or six actions”, to find out how and why their data is being used, the commission said. Google’s description of why it’s processing their data is “described in a too generic and vague manner”, it added. The company’s infringements “deprive the users of essential guarantees regarding processing operations that can reveal important parts of their private life”, the commission said. “We’re studying the decision to determine our next steps”, it said. Sublime, a global high-impact advertising marketplace that creates and delivers premium ad experiences, announced on Monday (21 January) new offices in Manchester (UK) and Lyon (France), expanding its regional reach. The new locations have been chosen to meet growing demand from suppliers and partners moving out of capital cities to unlock talent in under-served regions by supporting digital campaigns at local and multi-local agencies, trading desks, and publishers. Since its launch in 2012, Sublime has experienced rapid global growth, most recently launching in Germany and Singapore with dedicated on-the-ground teams. This supports the company’s existing presence in Paris, London, New York, and San Francisco. Now, by moving into new regional territories, local advertisers will be able to run their campaigns on national publisher sites via Sublime’s inventory, creating more opportunity for Sublime’s partners in the UK and France. It will also allow local advertisers to compete with their national counterparts with web-to-store campaigns, thanks to a precise geotargeting feature and innovative multi-device ad units. 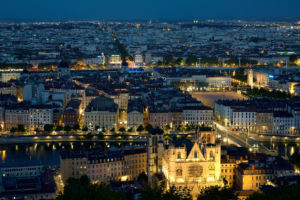 The new Lyon office will support national advertisers with head offices based in the South East of France, while the office in Manchester will serve agencies in Ireland, Scotland, Manchester, Leeds, Newcastle, Birmingham, and Bristol. 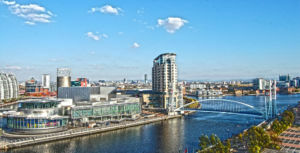 From the new UK hub, Sublime will work with agencies such as MediaCom, Dentsu Aegis, McCann, and Wavemaker, which all have offices in Manchester as well as other northern and midland territories. The office will enable Sublime to strengthen its relationships with search-focused agencies such as Manchester-based Cube3, as well as Epiphany’s branch in Leeds. IAB UK, the trade body for the online advertising industry, announced Tuesday (22 January) the launch of ‘Transparency FAQS’, a tool to help aid advertiser understanding of the value they derive from companies within the digital advertising value chain. The so-called ‘tech tax’ is something that continues to raise questions across the industry, however it can be difficult for advertisers to understand the roles of different companies in the chain and unpick their contribution. As a result, the bundling of every company between buyer and seller as a ‘tax’ is misleading and does not help the advertiser to gain a true understanding of the value and return on investment from their advertising budget. To help address this challenge, IAB members from different parts of the industry worked together to produce 20 common questions that can be asked of digital advertising businesses. The aim is to equip brands and agencies with the right questions to ask in order to help them understand more about companies’ business models and provide an indication of their attitude towards transparency.